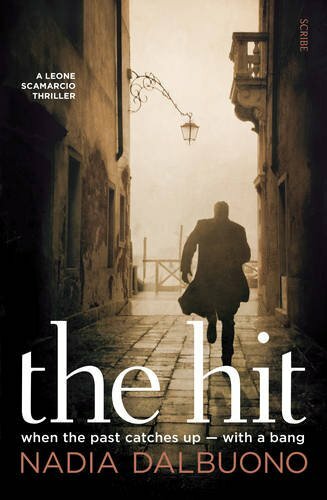 The Hit by Nadia Dalbuono was released on 9th February 2017 by Scribe UK. The investigation of a hit-and-run in Rome leads Detective Leone Scamarcio on a deadly journey to confront his Mafia past. When Leone Scamarcio is called to investigate an apparent hit-and-run, it seems like a job for a traffic officer, not one of Rome’s top detectives. But when the victims are kidnapped on their way to the hospital, and Scamarcio discovers that they are the family of one of the country’s top television executives, the infamous Micky Proietti, things start to get interesting. Everyone, it seems ― from Premier League footballers to jilted starlets and even the Calabrian Mafia ― has an axe to grind with Proietti. As Scamarcio delves into the underbelly of Italian show business, he discovers a possible connection between this investigation and his own Mafia father’s right-hand man. To solve the case he must travel home to Calabria, but can he finally banish the ghosts of the past? Detective Leone Scamarcio is back for his third novel in The Hit. High flying TV executive Micky Proietti seems to be living the charmed life. He has a successful and lucrative career, a beautiful wife and a perfect son. Then, when the three of them are in an accident, it is only due to the quick thinking of the driver that they are not all killed. Micky makes it to the hospital, his family doesn’t. They disappear. They’ve been kidnapped. Scamarcio is then in a race against time before this family is hurt further. His enquiries soon unearth secrets he didn’t expect and the investigation means he has to go back to his own past too. This was my introduction to this series. I had not read the previous two novels. For the overall plot, this wasn’t an issue. You can pick this up and follow it. 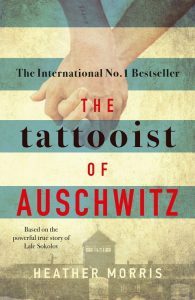 However, the only advantage in reading the first two before this one is that there are certain passages that elude to an incident in Scamarcio’s past so reading more in the series might give you more of an insight into that.